This morning I'm thinking pink. I used to say it was my favorite color, but now I haven't totally confined myself to just one color. Jacoby is the reason for that, as for when he was around 2 years old he used to ask me every day what my favorite color today is? I thought to myself, how wonderful to choose a new color everyday! So, now I choose my favorite color on a day-to-day basis! Here are some delightful little pink things that I have found on Cassandras Corner's Pinterest(of course!) that I love! I am Dying Over this Hair Color! Pouty Pink Lips is a Do!! Must Have Victoria's Secret Pink Workout Gear! I love all your choices!! 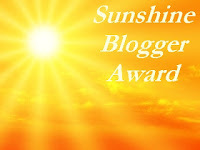 Btw, I finally got around the writing a post about the Sunshine award! Just thought I'd let your know! ah im just so happy to see pink!! I LOVE IT, and having a girl made it perfect. I adore the jacket with the bow on the back! The light pink nail polish is also gorgeous. Great finds! I love pink! I love pink and you are making me want to wear it or decorate with it somehow! That jacket is so cute!! Oh I love pink!! what cute finds! Hey, thanks so much for checking out my blog! Lucky, Lucky, Me! An Award!! I'm a Beach Body Coach, Now What? ?